latest - How many brass bands? 19,634! The Internet Bandsman's Everything Within is intended to be as comprehensive a set of brass band links and related information as possible. However, the presence or absence of a link does not indicate endorsement, approval, or lack thereof by the IBEW or Gavin Holman. We cannot be responsible for the content of external links. Please email Gavin Holman or use the contact form if you encounter any problems or broken links, have any corrections, or if you wish your link or other resource added to the IBEW. 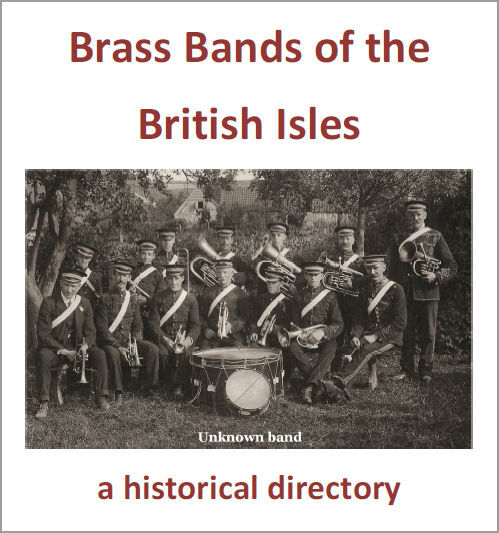 We hope you enjoy browsing the world of brass bands via the IBEW.